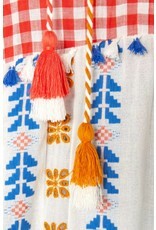 Dodo Bar Or's patterns are inspired by Middle Eastern architecture and interior design. 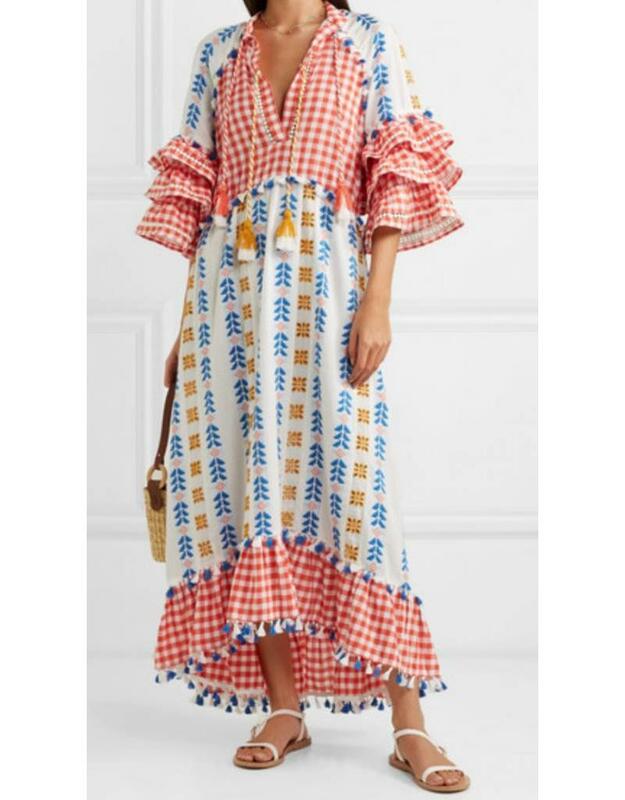 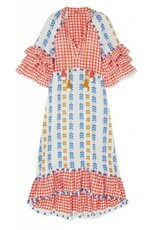 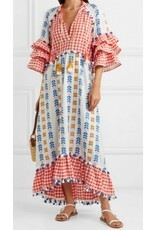 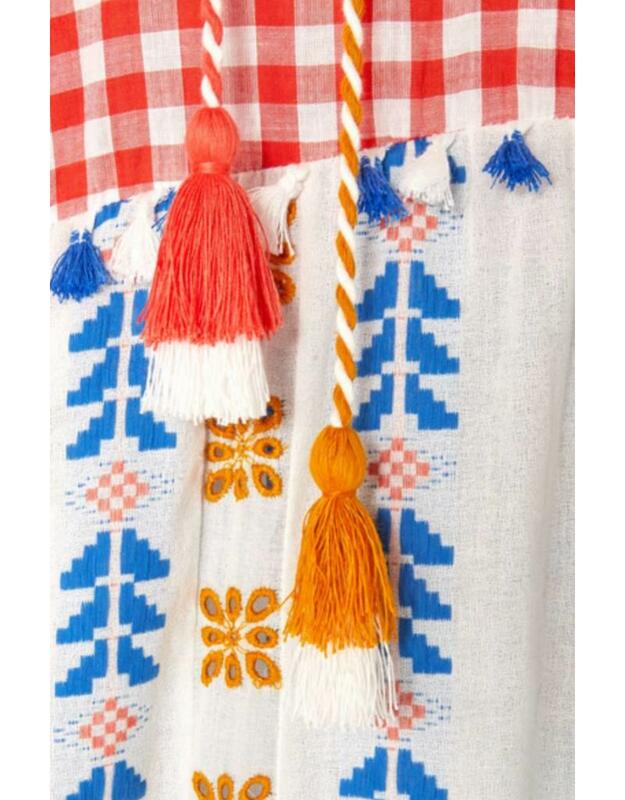 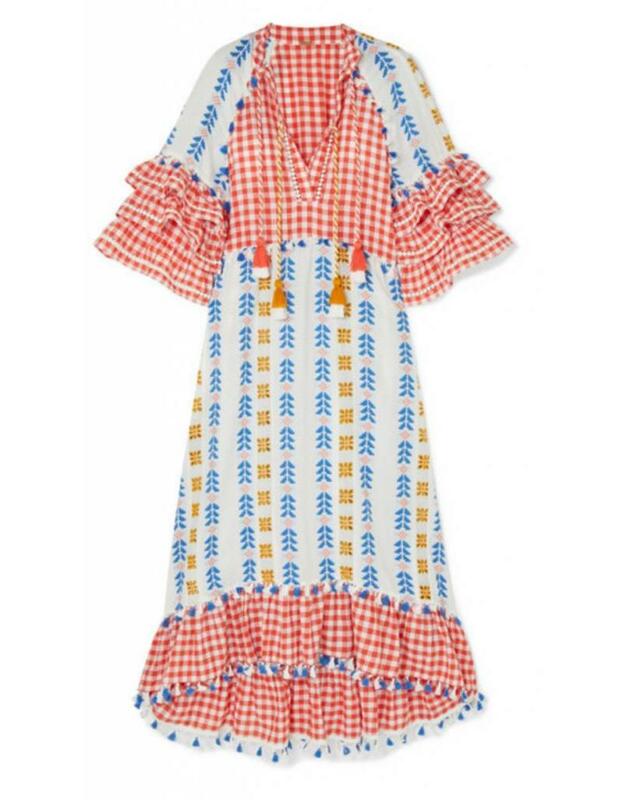 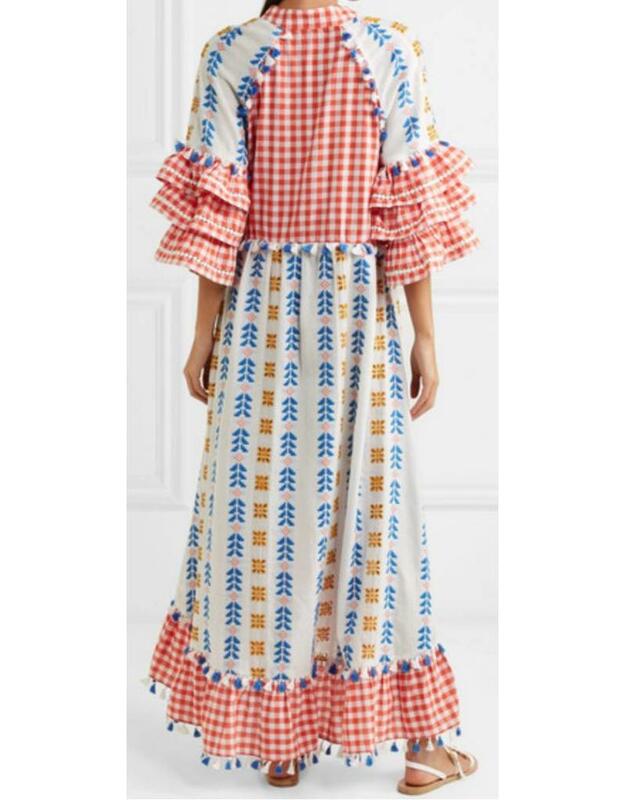 Made from cotton-jacquard, this dress is decorated with summery red and white gingham plus vibrant geometric motifs. 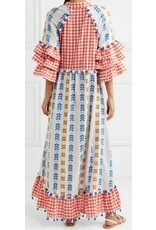 It's cut for a comfortable loose fit with ruffled sleeves and tasseled rope ties at the neckline.